Barcelona is the second largest city of Spain and it is definitely one of the most popular ones as well. Barcelona has a lot to offer to its visitors from the most romantic places in the city, through the good weather and colourful programs to the historical sites and attractions of the city. So in this short article we will list some of the nicest and most romantic spots in the city you should visit during a visit. The first place on our list is the Parc de la Ciutadella. The Parc de la Ciutadella is a big park in the city. At the park you can find several bars, a running track, table tennis tables, playgrounds and even a zoo. The Parc de la Ciutadella is one of the largest green area in the city which offers countless possibilities for everyone. 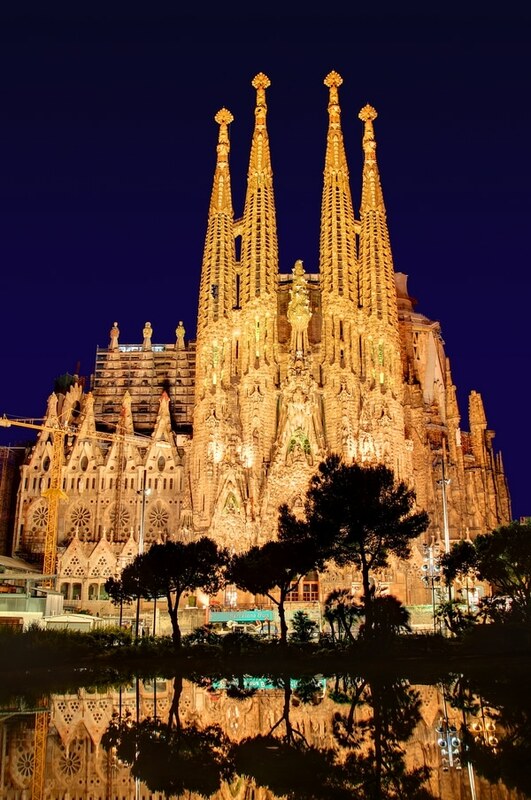 Our second favourite place in the city is the famous architectural wonder of Barcelona the Sagrada Familia which is one of the most known symbol of the city. From the spire you can have an unique view on the city. Encants Mercat is one of the largest open air flea market in Barcelona. What could be more fun and romantic than exploring the hidden beauties of the city together with your loved one?! At the market you can find literally everything from rubbish to the most unique treasures. These are our favourite places in the city and if you would like to know more on Barcelona and its programs check the following site.